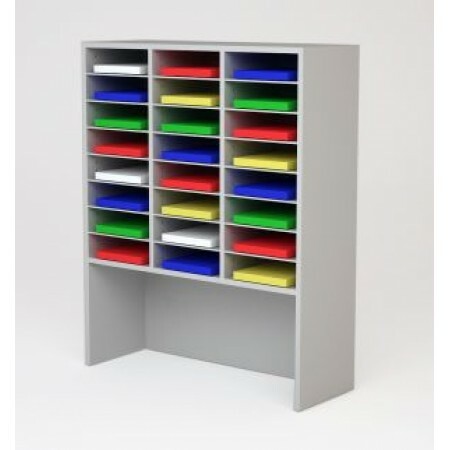 This new custom line of office wood organizers and mail center sorters are designed for the facilities that need their furniture to blend in or stand out with the office architecture. 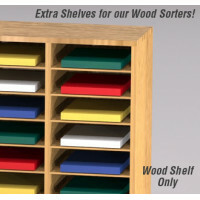 These wood sorters can be designed for a single organizer, a stand alone mail delivery station or a complete mail center. Each pocket is adjustable in 1" increments for the perfect pocket height. Available in Grey (shown), Black, Oak, Walnut and Light Maple. Other colors available call for details. 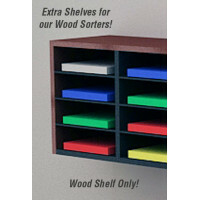 IMPORTANT: Custom wood sorters and tables are produced per order, allow 4 to 6 weeks. Colors: Grey (shown), Black, Oak, Walnut and Light Maple.Other colors available call for details. 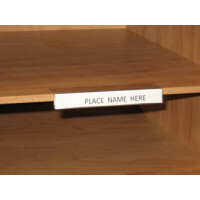 This is only an example of the sorters / organizers and wood tables that can be designed for your facility. Call our design department and let us design a system for you.